What can you say about Terry Pratchett. The man has created a world so rich and in depth that it has managed to span a 30 year time period without losing any wit, charm or sense of wonder. 40 books in 30 years, is a phenomenal achievement in any field, but to keep things from stagnating and becoming repetitive is nothing short of amazing. I have to say that this is going to be a rather bias review. My love of Pratchetts work meant I had this pre ordered on audible months before it came out, and I have to say I wasn’t disappointed. It follows the age of steam engines arriving to the Disc. As with most of Pratchetts work its hard to go into too much detail without giving away the plot, but suffice to say it is a fast paced well oiled machine powering through the Satirical landscape. As with most it can be read as a standalone novel but I would implore you to read the first 39 novels first, or if you don’t have time at least Going Postal and Making Money which introduce you to Moist . As mentioned this version reviewed is an audiobook read by Stephen Briggs. Once again he brings the characters of the Discworld to life. Recently I have found my ability to sit a read a book severely curtailed in the form of a bouncing baby boy. I have however found myself listening to Audiobooks with increasing frequency. 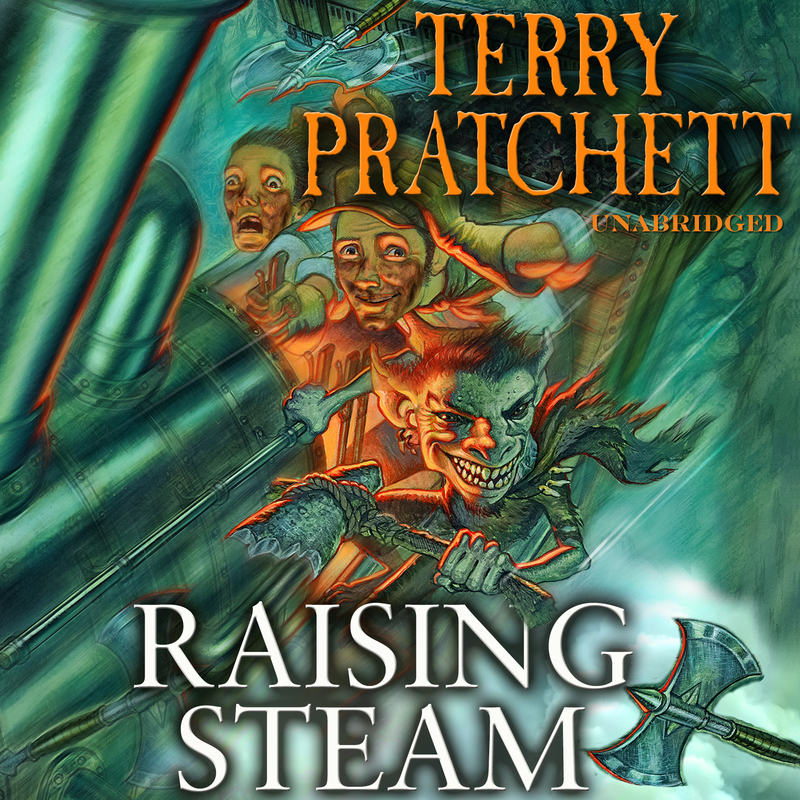 The Discworld novels in audiobook format are some of the best and that is in no small part to Briggs’ talent. The book is a brilliant anniversary present for Discworld. Happy 30th. The Audiobook is wonderfully read and well worth it for people who don’t have time to sit and read at the moment.